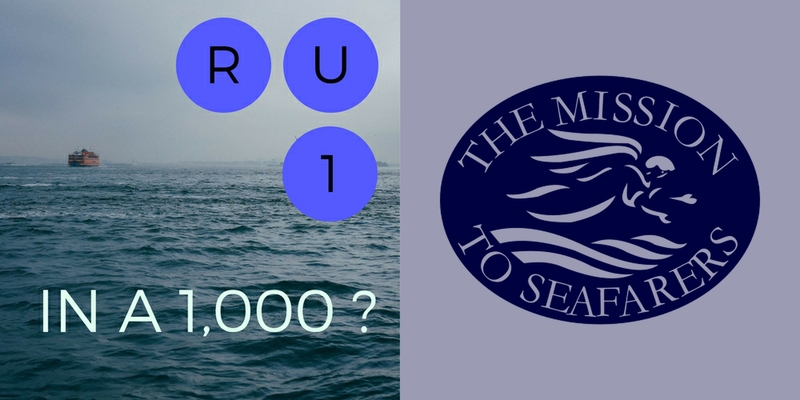 At this year’s Annual Meeting, we are launching our latest fundraising campaign – “R U 1 in a 1000?”. We rely almost entirely on individual donations and periodic grants to carry out our support to our seafarers, but the reliance on this means it has been very difficult to plan our work, from year to year. This is why we are launching the “R U 1 in a 1000?” campaign. We are looking to build up 1,000 supporters, pledging just £10 per month. If we can achieve that target, the future of our work will be both secure and sustainable for years to come. We know that many people have limited incomes but, next time you buy a banana from a supermarket, or a shirt from a clothes shop, pause and think of the crewmen and women who helped to bring them across the seas to our shores.